Since hearing the same complaints from board members or residents can be as much fun as sand in your underpants… why not avoid them? As we rush into this year’s festivities, it’s time to finish up those lingering handyman projects and cross them off your list. Carasso’s Handyman Services to the rescue! Major and minor property repairs will be fixed quickly and efficiently. Experienced craftsmen arrive in uniform (Santa suit optional), get the job done and clean up when finished. No job is too small and work is guaranteed. Holidays are approaching – homeowners will be spending more time on site and using common areas – noticing everything. 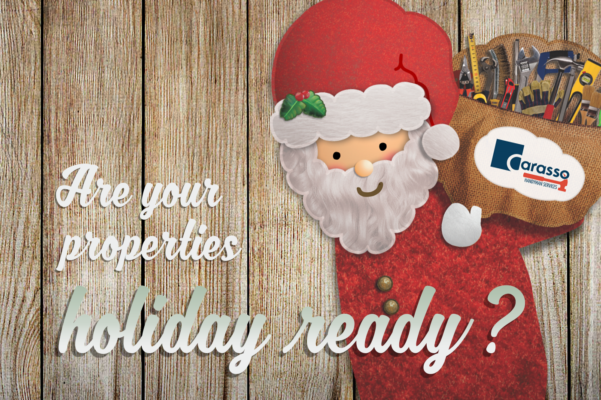 Contact Bill or Dave today with your work orders and get your properties ho-ho-holiday ready! LIKE IT MONTHLY OR WEEKLY? "... making me a 'tough' customer"
"As everyone knows, I grew up with a family of contractors and had a lengthy career in residential and commercial development making me a 'tough' customer. I’m impressed with your men and the job they did.